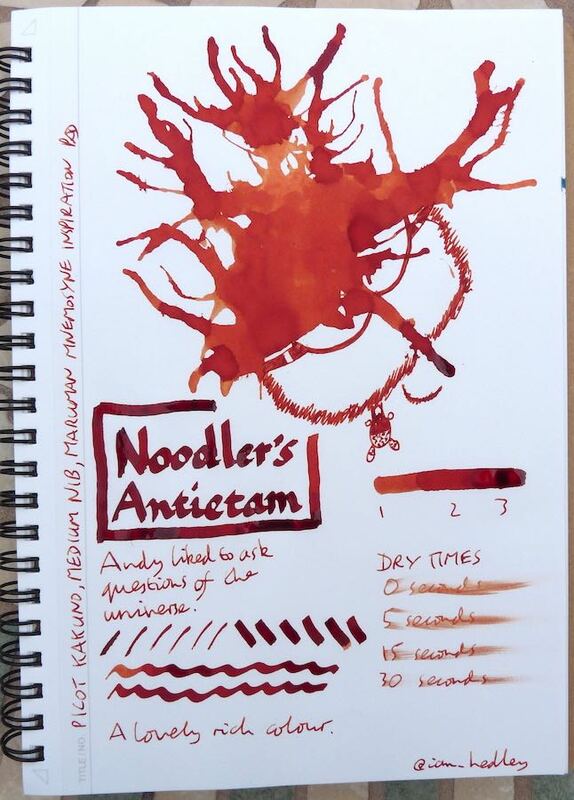 Noodle’s Antietam Ink Review – Pens! Paper! Pencils! This is a lovely colour, a rich red-brown. The ink flows well and dries reasonably quickly. Many thanks to Kyle for sending me this sample! 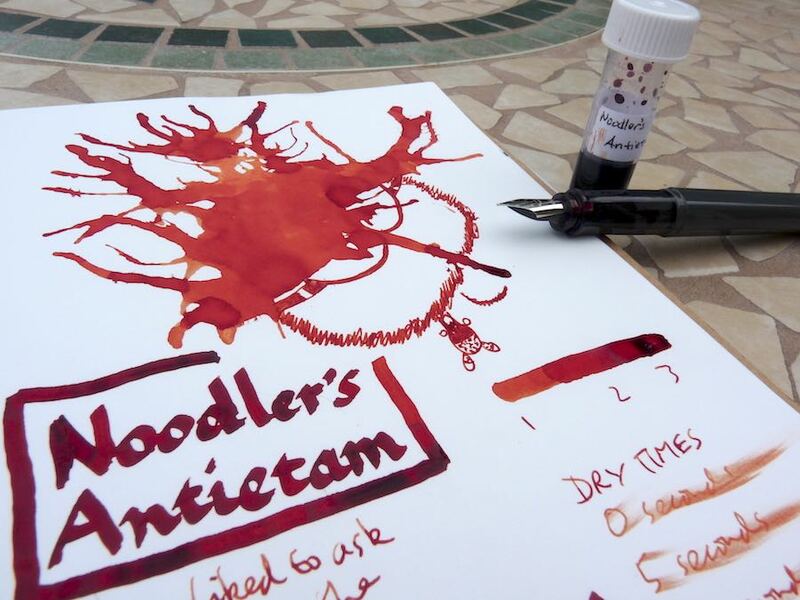 You can find some more reviews of Noodler’s Antietam on Pennaquod. Next Post:UK Pen People – What On Earth Are We Like?